I am Rob McCormack, current President of the Boulder Flycasters. I currently work in environmental and energy management consulting as well as own FishSki Provisions with my wife. FishSki Provisions sells dried Hatch Chile Macaroni and Cheese online and in Colorado and New Mexico. At least 1% of every FishSki sale goes to conservation: including Boulder Flycasters’ conservation projects. I’ve been involved with Trout Unlimited (TU) for the last decade and joined the Boulder Flycasters in 2012 when I moved to Boulder. A life member of TU, I began the largest Trout in the Classroom Program in the Northeastern US and spent a summer in the Washington DC National Office as a Government Affairs Intern working on clean water act jurisdiction and Pacific salmon and steelhead issues. I have an educational background in fisheries management and environmental law and have worked as federal fisheries technician as well as an Alaskan Fly fishing guide. I currently work in environmental and energy management consulting. With such an abundance of great small stream, high country trout, and warm water options in the immediate Boulder area, I can be found on local waters as much as possible. When the weekends or vacation come my fiancée Tania, dog Violet, and I float the middle Colorado, backpack for high country trout, take extended trips in the Wind River Mountains, or ski throughout the state. Trout Unlimited plays an important role in keeping watch over and improving our local fisheries. 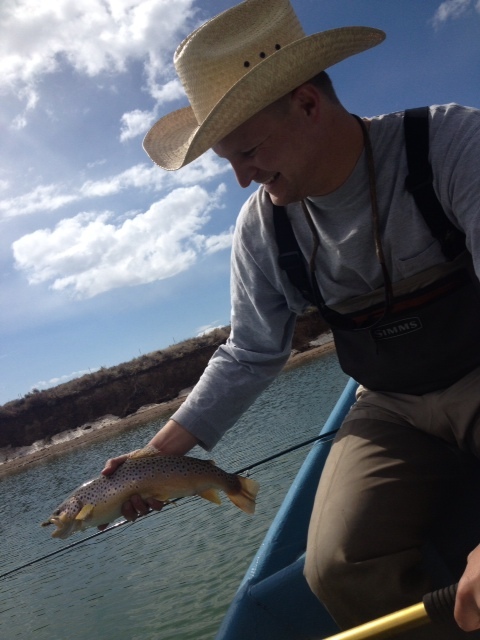 I am a strong believer that sportsmen and women make the best conservationists and look forward to continuing and building upon the excellent conservation and youth education work that Boulder Flycasters does.